YOU CAN HIRE ME TO TALK IF YOU'RE INTO THAT KIND OF THING. Pretty sweet job I've got, huh? 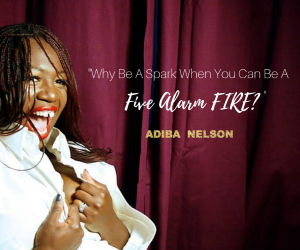 Sometimes people hire me to come strut my stuff on a stage, in a classroom, or through a courtyard while talking about body love and the ripples that surround it. I love my life. 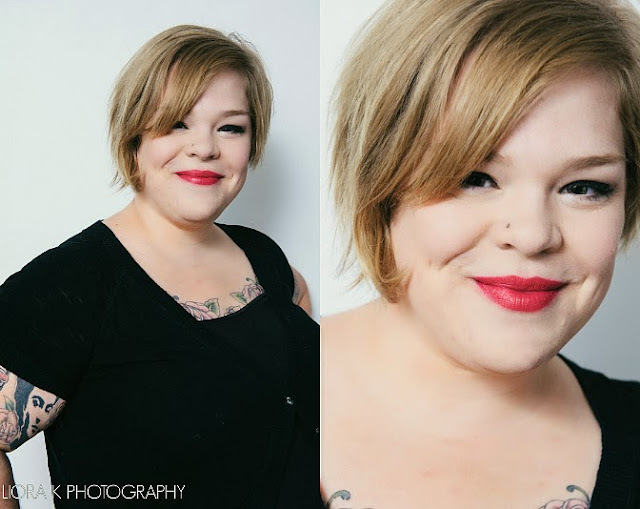 It's a perfect time to share these head shots Liora K took of me for this exact purpose. And of course, because we are who we are, a few silly ones with adorable cats snuck into the mix. Love that lady. And her cat. Mostly the cat. Sorry Liora. 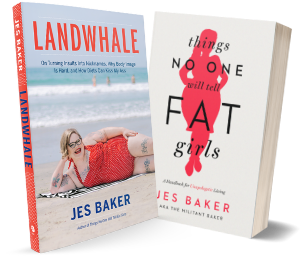 "Jes Baker is a positive, progressive, and magnificently irreverent force to be reckoned with in the realm of self-love advocacy and mental health. 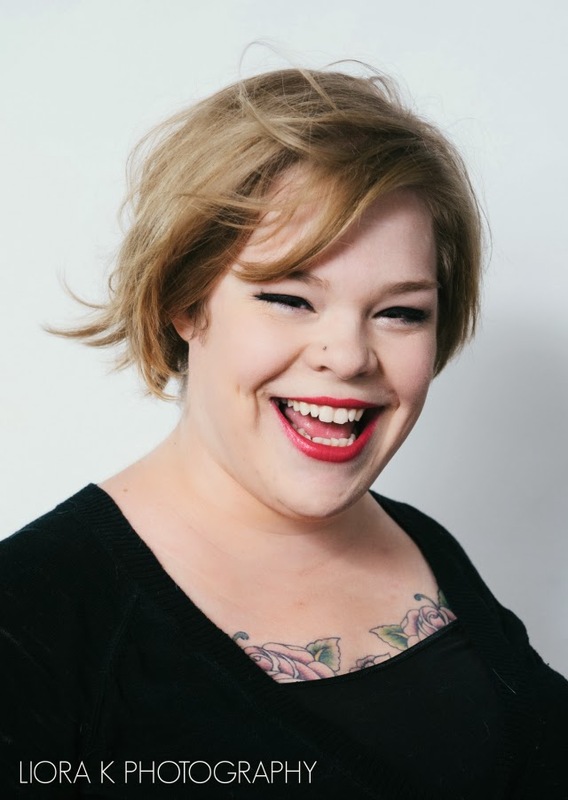 Jes is internationally recognized for her writing on her blog, The Militant Baker, the “Attractive and Fat” campaign, and her dedication to shifting social paradigms into a place where all people are offered the opportunity to love themselves just as they are. 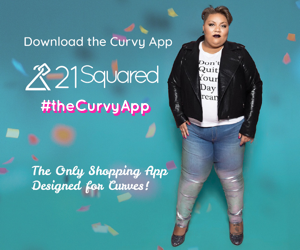 The "Attractive and Fat" campaign drew coverage from CNN, the Today Show, the BBC, and many other national and international media networks. 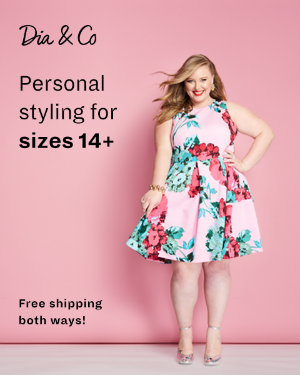 Jes harnesses the power of vulnerability, honesty and candor through dialogue about living in a world where worth is determined by your dress size, diagnosis, and deference to authority. 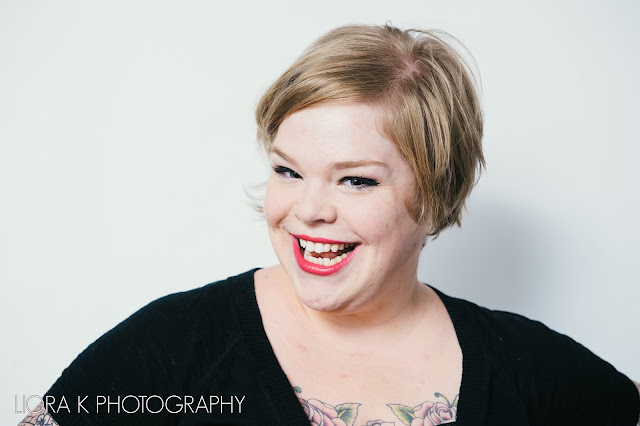 Jes draws on her own experiences as a “fat chick” in mainstream society, and incorporates her experience as a Psych/Social Rehabilitation Specialist to open up conversations about the correlation between self-esteem, body image, and mental health. 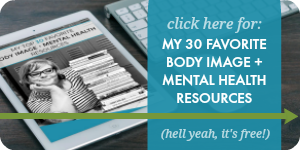 Jes explores the historical evolution behind our current idyllic body type, the stigma surrounding mental illness, and what we can do individually to reframe the way we perceive ourselves and others. 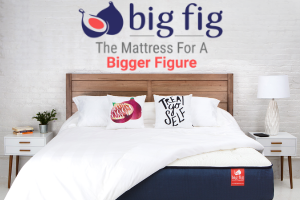 She encourages each person to “change your world, not your body,” uses empirical data to explore the correlation between weight and health, and discusses the “Health At Every Size” movement. Jes spends her work week coaching adults with mental illness on how to re-enter the workforce through on the job training. She specializes in the forefront of behavioral health services through peer support, offering assistance as someone who has experienced mental illness herself. 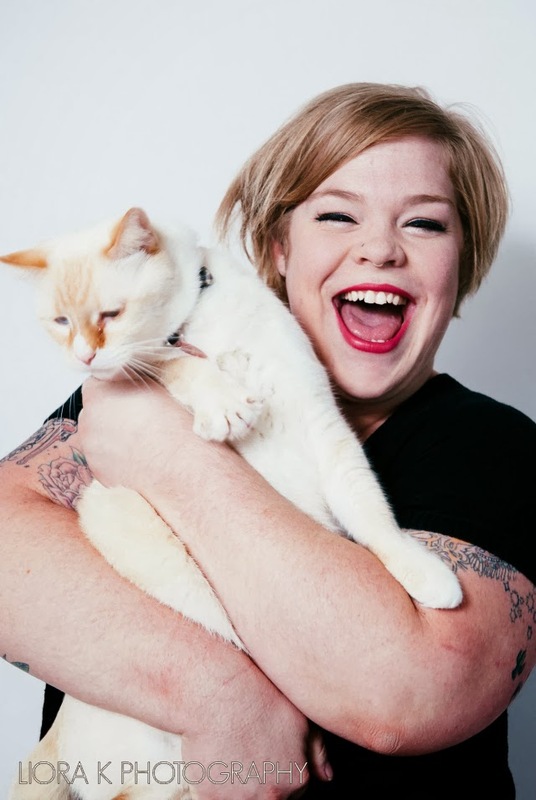 She offers new and inventive ways to engage in successful recovery from neurological imbalances and has also has written a state funded curriculum that teaches those with diagnoses how to become peer support professionals themselves. Ms. Baker currently writes for several large online publications including xoJane and Volup2 Magazine. 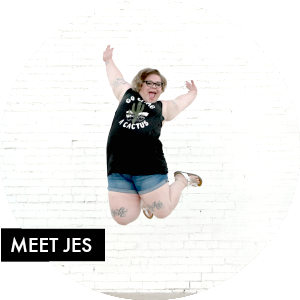 Jes is the founder the Body Love Conference which is to be held at the University of Arizona in April of 2014, and is currently pursuing her degree through Arizona State University's Social Work Program." If you're picking up what I'm putting down, feel free to contact Sean Lawton (slawton (at) kepplerspeakers.com) at Keppler Speakers or Kevin McRae (kmacrae (at) macraespeakers.com) at McRae Speakers. And you can find all this information as well as upcoming lectures on my brand spankin' new Events page. Have at it!